Customer Picture Number 484 Selected. Cool Car decals applied. 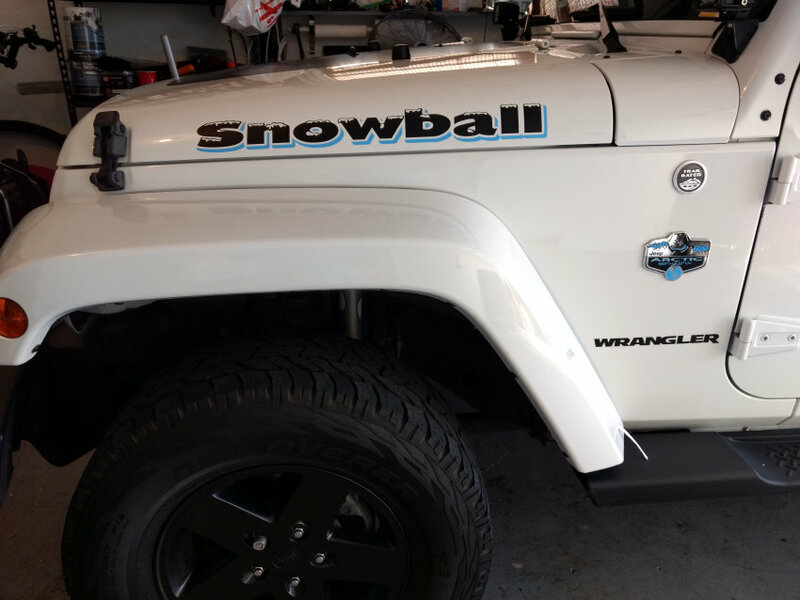 Glen's Jeep Wrangler with a custom two-layer decal with shadow. Made in flat black and light-blue vinyl for a unique shadowed graphic appearance. Striking!